Back Pain - Many people experience back pain in their lives. Back Pain can hamper your activities and overall interaction, not to mention the pain and stress that is causing you. The ProBack is a revolutionary breakthrough in back pain relief that can change the way you experience each day. 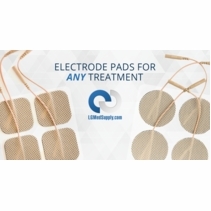 Imagine a drug free � effective � solution for your back pain. The ProBack uses simple yet very effective design architecture, which combines Counter-Force pressure together with a Bio Dome that fits in the small of the back. 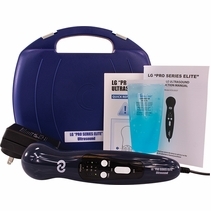 Together these features reduce the strain on the muscles and other pain sensitive structures in the lower back to help relax muscles and relieve pain so you can safely resume many of your daily activities, free from your back pain. 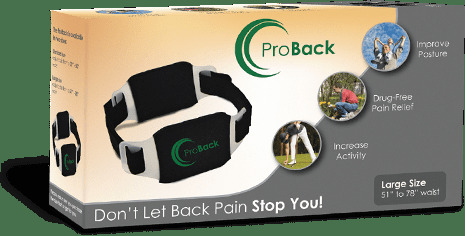 ProBack's Counter-Force design is a crucial component in reducing the strain on the pain sensitive structures in the lower back to help alleviate pain. 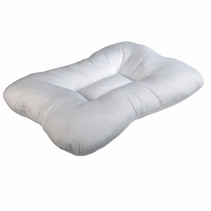 It provides support while relaxing low back muscles. ProBack's Bio Dome fits in the small of your back and helps to improve posture and promote proper body mechanics for improved mobility and a healthier, pain free, back. Q. When do I wear the ProBack? A. That depends on your problem. You should wear the ProBack when you are having back pain, because it will reduce your back pain. You can also wear it when you will be doing something that may cause back pain, to help prevent back pain. If you frequently wake up with a sore or aching back, you may even want to wear it while you sleep, so you can wake up refreshed and ready to go each morning. However, your doctor may advise you when to wear the ProBack and for how long. Q. What size does the ProBack come in? A. The panels do not come in different sizes. The straps come in two different sizes. One size fits up to a 50 inch waist size and the other size fits up to a 78 inch waist size. Q. Can I wear the ProBack to bed? 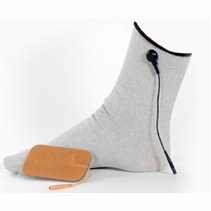 A.Yes, you can wear it while sleeping and it will help you wake up refreshed and without back pain or stiffness. Q. 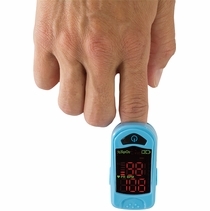 How many hours per day should I wear the ProBack? A. There is no set number of hours. 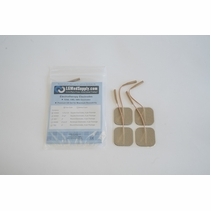 We suggest that you wear the ProBack if you are in back pain and it should reduce your pain. We also recommend that you wear it if you are going to do something you know will cause back pain and it should help prevent your back pain. Q. How do I wear the ProBack? A. The ProBack should be worn as tight as possible but not uncomfortable. The back panel (the panel with the dome), should be centered with the dome in the small of your back and the front panel centered on your stomach. The straps should be as tight as you can make them while still being comfortable. The tighter you make the straps the more benefit you will get. You may want to adjust the ProBack up and down to find the right place to wear it for you. Just to drop you a note that I continue to use the "Bio Back" back brace every time I work out in the yard or do any kind of heavy lifting. I found that with my back injury that I incurred in the early 1990s, I would be real sore after a lot of work either in the yard or lifting items. Now, I can do these activities without pain and with no recovery time. As a healthcare consultant, I truly believe it would be great for workers compensation prevention and should be used by anyone who experiences back pain. CSJ - C.J. After using Bio-Back, your back support brace, I am a firm believer in your product. I reinjured my back this past April and was totally incapacitated. I could hardly move. Later, I found I had degenerative discs and two buldging discs. I went to therapy for two months, used prescribed pain relievers, and even had two back injections. None of them worked for the relief I needed to get through a normal day. Then I began using your brace. The relief I obtained was overwhelming. By midsummer, I could go out and work in my yard and do the much needed gardening, which I have a passion for. Before using your brace, I would work in my yard; but after an hour or so, I would creep into the house and have to take my prescribed pain relievers. After using your brace, I could work over four hours in my yard and simply walk, pain-free, into my house. It also is extremely helpful while I do my weekly and daily housework, excercise, and even when I play golf! I just don't get the pain in my lower back when I'm using your product. I would highly recommend your "miracle" Bio-Back product to anyone who has lower back trouble--I'm a believer! V.R. - V.R. I am 86 years of age, a professional American Saddlebred horse trainer, and have been riding horses my entire life. Up until about a year ago, my health has been excellent, but I began having problems with my back and it became difficult and uncomfortable to continue riding horses. I thought my career was over. However, I was urged to see Dr. Fred Graff, which I did, and it changed my life. 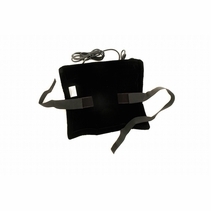 He prescribed for me the "Bio-Back Brace" which I began wearing, particularly when riding horses. The results have been incredible and it has given me a new lease on life. I was able to get back in the saddle and ride without the pain I had been experiencing. D.R. - D.R. "Thanks to Bio-Back, I don't have to quit my job!" I'm a corrections officer and have been wearing Bio-Back for several months. The results have been very good. I have not lost any additional time from work, and haven't experienced any re-aggravations. The small, compact size of Bio-Back allows me to wear it underneath my uniform with out anyone else knowing, which is great because my job prevents me from wearing a support that is visible. I've worn low back supports in the past that have not been effective. Prior to my chiropractor recommending Bio-Back, I was contemplating a change in employment. I'm now able to maintain my employment as a Corrections Officer, and the Bio-Back has been very helpful in doing so. - S.S. - S.S. 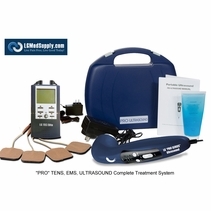 I have been dealing with severe back pain for the last 16 years after several car accidents. I have also been diagnosed with fibromyalgia, as well as some kidney issues. I have tried everything possible to find relief from these problems, from medications to numerous sessions of physical therapy and visits with the chiropractor. The BioBack's unique lumbar support actually feels good as soon as you put it on, and I would say it has been a Godsend, & has given me tremendous relief from my chronic pain . It has allowed me to be much more active & continue with my busy career pain free. Thank You, BioBack! T.B., age 52 - T.B. Bio-Back is excellent. I am a Chicago police officer, also a high school basketball coach. 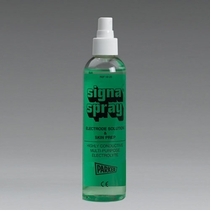 I have recommended the product to all of my friends with ailing backs. Thanks You! J.K.- J.K. I am 77. I had serious back surgery ten years ago (exploded disc). I couldn't function without my Bio-Back. Now I'm shoveling snow, skiing, bowling and golfing. E.Z.- E.Z. My sciatic nerve or a muscle, from sitting with my legs propped straight out on my coffee table, locked up as I tried to answer my door bell. I couldn't walk � could put no weight on my right leg. A quick putting on of the Bio-Back belt and after wearing it for 20 minutes the pain was relieved. (Later) I rode with my friend to attend a social dance evening. No pain after a 20 minute drive and I was able to dance several dances. No one complained about the belt around my waist, even though I knew they could feel it beneath my blouse. How wonderful the pain relief and the dance. R.A. (age 75).- R.A. I really like my Bio-Back belt - I have had back surgery two years ago - but have been bothered with some pain in my right hip now, due to Osteoarthritis in my lower back and right hip. Wearing the Bio-Back has given me the support I need to make me pain free. - I.D.- I.D. I suffered an injury to my lower back 40 years ago as a cheerleader. My chiropractor discovered that I have a degenerative disc at the lumbosacral junction. As a student nurse, I am required to make transfers of patients of various size and weight. The Bio-Back allows me to perform these duties without increased pain or disability. I especially like the way that I am able to wear the Bio-Back under my smock unseen by others. I recommend the Bio-Back. K.M.D.- K.D. "When I wake up in the morning I always have back pain, but as soon as I put on my Bio-Back I am just fine. I can stand up longer. 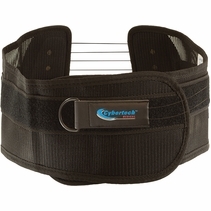 It is so much better than the brace I was using before, Bio-Back stays firm in place. I am so thankful that my dear daughter Susan found the Bio-Back for me." E.J. - E.J. Since I received by Bio-Back, it has helped me tremendously. As a postal employee, I work in a job where I do a lot of bending. I feel that this belt does what you say and then so much more." F.F.- F.F. I want to thank you for the Bio-Back Support you sent me last year. I had a great deal of pain which turned out to be a bulging disc. I was able to practice for longer periods wearing the Bio-Back, and it paid off. I was able to win the recent Nike event in Olympia. Thanks for your help. K.V.- K.V. I was having trouble walking without the Bio-Back and now I can walk again without pain. Thank you, it's the best think I ever purchased. A.P. - A.P. Thought I would give you a report from my daughter. Since she began wearing the Bio-Back she has not experienced the pain she was having. She said she is now able to sit, walk and sleep without any pain at all. E.R.- E.R. For most people, relief is almost immediate. But, for others, it may take several attempts to achieve favorable results. Make sure the Bio-Back is comfortably tight. You should feel the sensation that it improved your posture. 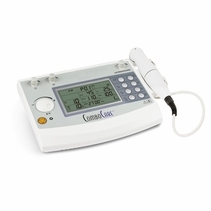 Also, each person is unique and the panels should be adjusted up or down until you find the position that provides the best results for both comfort and pain relief.